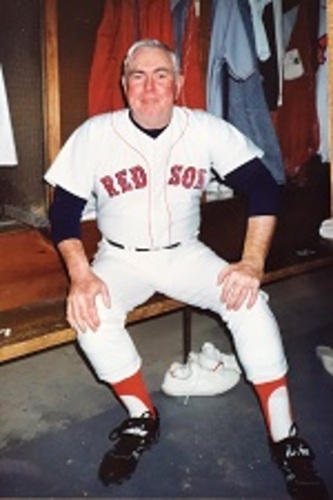 Emma Dwinells' grandfather Ken Lambert poses at the 1992 Red Sox camp. A smile spreads across my grandfather’s face as he opens the door to his study, as though he is seeing old friends for the first time. Sitting silently in neat rows, some are bright white, others brown from age or discolored from being used. All are covered in ink, some more than others. Some of their stories go back more than 60 years and have been told over the decades by multiple generations. "Let me show you the latest addition," he says with his eyes lighting up. "He used to play for the A's, you know." In his hand, he holds an autographed baseball signed by Thurman Munson. My grandfather's fascination with baseball began at the age of twelve, his attraction to the sport increased from there. His love for America’s favorite pastime grew throughout the years as he began to attend various major league games. 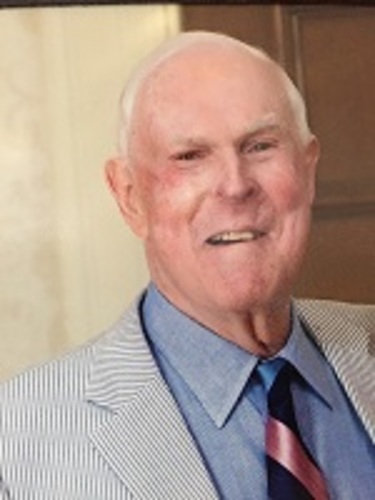 After traveling from places as far as Toronto to the sunny landscapes of San Diego he had been to over two-hundred baseball games and over eighteen stadiums. There was a glimmer in his eyes as he reminisced about his favorite memories from the sport. He laughed as he recalled watching David Ortiz swat balls off the parking garage roof in spring training batting practice. His excitement heightened as he described the time he saw Carl Yastrzemski hit two out at the 67’ series. However, the true excitement and passion did not stem from his vast major league experience. While he describes some of the most historic moments in the major league, his fascination lies in the hands of a different league. A season that runs from June through August and is made up of ten teams and immeasurable talent. The Cape Cod Baseball League. Ken Lambert, a lifelong fan of the CCBL and Chatham. My grandfather’s allegiance to his home town Chatham A’s grew throughout time. He began attending the games in his 20’s, saying he was as star struck at these games as he was any MLB game. He continued the tradition with his children, bringing them to the famous grassy hill that abuts the outfield. “When you are seven a foul ball is all you could ever wish for,” he says as he recalls almost being trampled by flocks of pint-sized kids chasing down what seemed to be a ball made of gold with diamond laces. A sense of nostalgia filled the room as we discussed the generations of families, players, and fans that have taken part in the fifty summers my grandfather has seen come and go. It doesn’t matter what age you are or what knowledge you have of the game the Cape League brings together every type of fan and forms a family. The Cape League is the grassroots of baseball. It is a classically played game with remarkable talent. The atmosphere allows families, players and fans to connect and share their love for the game. These days whether it's watching the Red Sox on TV, going to Jet Blue Park for Spring training, bidding on a new ball for his collection or sitting in the outfield for an A's game, this fan can't live without baseball.